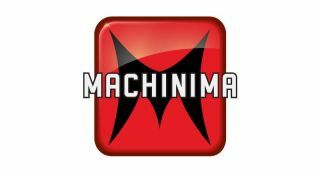 The prominent YouTube network Machinima Inc. has settled charges filed by the Federal Trade Commission accusing it of engaging in deceptive advertising by paying its "influencers" to make videos promoting the Xbox One and various games for the system, without disclosing "that they were being paid for their seemingly objective opinions." The FTC complaint, which can be read in full here, states that Machinima's Xbox One "influencer program" was rolled out in two phases. The first involved five influencers who were given explicit instructions regarding the content of each video they made, while the second was open to its entire network, who had to follow somewhat less specific guidelines. In all cases, the creators were paid for their work, some quite well: Adam Dahlberg earned $15,000 for posting two video reviews to his SkyVSGaming channel, while Tom Cassell was paid $30,000 for a pair of reviews he put up on TheSyndicateProject channel. But in neither case did they disclose that they were being paid for their opinions. In fact, the FTC notes that both videos "appear to be independently produced and give the impression that they reflect [their] personal views." Furthermore, the "video campaign agreement" that participants in the second phase were required to sign included a provision requiring that they "keep confidential at all times all matters relating to [the] agreement," including that they were being paid to promote the products. "Through the means described in Paragraphs 9 through 22, Respondent [Machinima] has represented, directly or indirectly, expressly or by implication, that video reviews of Microsoft's Xbox One and the Launch Titles reflected the independent opinions of impartial videogame enthusiasts," the complaint states. "In truth and in fact, the video reviews for Xbox One and the Launch Titles did not reflect the independent opinions of impartial videogame enthusiasts. Respondent's influencers created the video reviews as part of the global advertising campaign to promote sales of Xbox One and the Launch Titles." Making the matter even more alarming is Machinima's reach. The FTC said the campaign produced more than 300 videos that drew more than 30 million views between November 22 and December 31 of 2013. The settlement, available here, specifically prohibits Machinima from representing its influencers as "independent users of the product or service being promoted" in future campaigns, and sets specific terms for prominent disclosure of advertiser relationships in the future. For the next five years, it is also required to maintain documentation demonstrating its compliance with all aspects of the settlement, and to present them to the FTC for inspection upon request. Microsoft and its advertising agency, Starcom, escaped sanction because, while they were "responsible for the influencers’ failure to disclose their material connection to the companies, [the] Commission staff considered the fact that these appeared to be isolated incidents that occurred in spite of, and not in the absence of, policies and procedures designed to prevent such lapses." The Machinima case closely resembles that of 3BlackDot, the publisher of Dead Realm, which used its own network of influencers—including Cassell, one of the respondents in the Machinima matter—to create and post YouTube videos promoting the game without consistently disclosing that they are also co-founders of the company. In that case, the YouTubers in question aren't being paid by an outside company to promote a product, but instead have a financial stake in their own product's success—effectively the same thing. 3BlackDot said in a follow-up statement that it is "commonly known" among members of the Dead Realm community that its influencers are also co-founders of the company, but that would seem to fall short of the FTC's requirement for, and definition of, "clearly and prominently" disclosing such relationships.